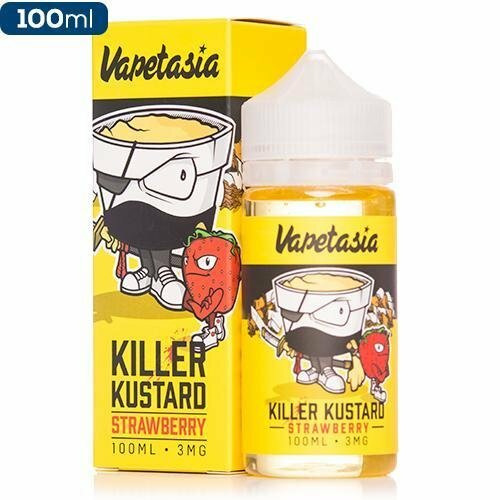 Vapetasia takes the award-winning taste of Killer Kustard and folds notes of sweet strawberries into the mix with Killer Kustard Strawberry! The inhale starts with a balanced blend of strawberry taste that lines the custard delivery. The exhale pronounces the vanilla as it envelops the fruity notes during the creamy finish. If the taste of Killer Kustard was killer, then Killer Kustard Strawberry is absolutely murderous!